You're a writer and we know it. We also know you want to edit and publish your work without any professional design knowledge. Congratulations: this is the right place for you. Fill in your data and we will get back to you to start your publishing project. 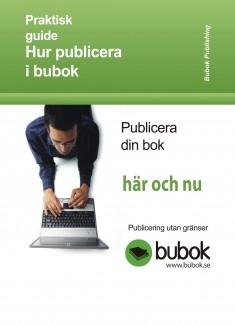 If your prefer to send us your manuscript, write and email to authors@bubok.com. You can also call us at +34 807450160.